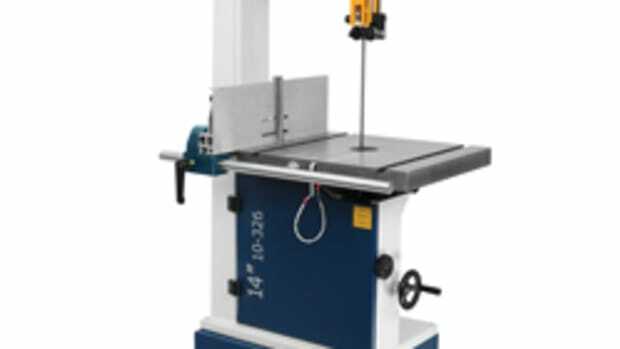 Rikon introduced its 14” professional band saw, model 10-350, at the AWFS fair. It combines some of the most prominent design features from the company’s previous models, according to company spokesman Rod Burrow. 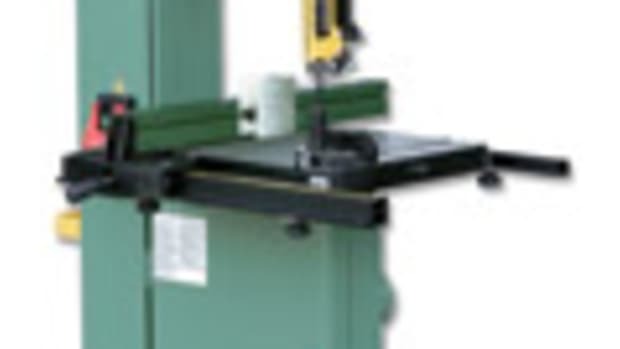 “The machine’s stout cast trunnion system and large 21” x 19” table with dual miter slots are taken from the 18” model, 10-345; and the blade guard design and cast-iron wheels are borrowed from our popular 14” model, 10-325,” he says. 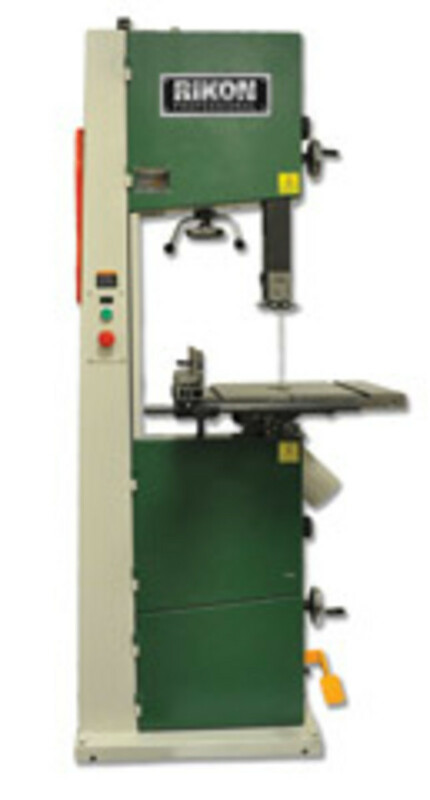 The saw features a full frame that extends to the floor, rather than an open stand that Rikon has offered in the past. Fine adjustments can be made to the blade guides without tools, while Rikon has also added LED lighting for a better view of the cutting area and a quick-release lever to take off blade tension. 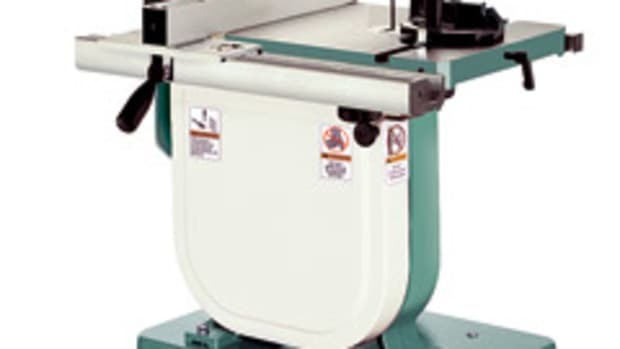 “The quick-release blade lever is another great feature because it will operate from the front or rear of the saw, which is unheard of in our industry,” says Burrow. Safety features have been enhanced as well. 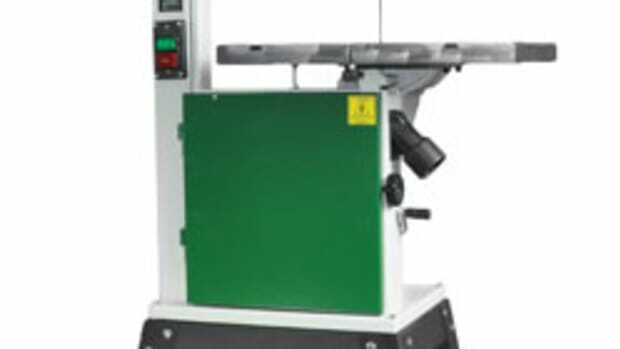 The saw will automatically shut down if any of the access doors are opened during operation or the foot brake is activated. 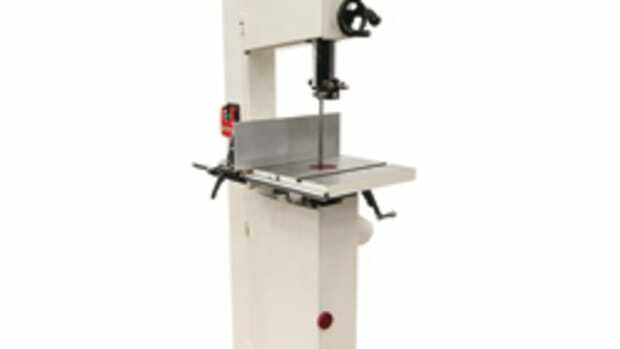 The saw will not start if the access doors are open or blade tension is released. 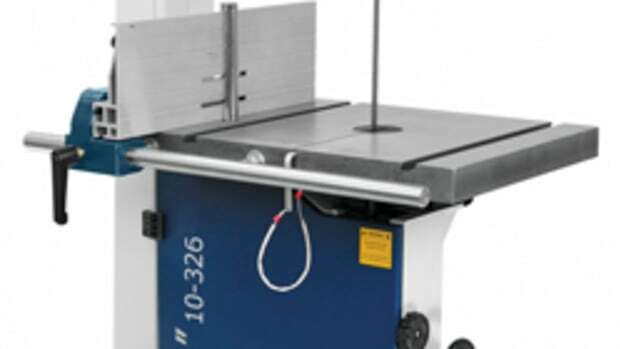 “The foot break is a great feature if the user needs to stop the saw in a hurry, such as when the blade begins to bind and both hands are holding the workpiece,” says Burrow. Rikon says the saw has a 14” resaw capacity. It will come with a 4-3/8” tall resaw fence. Rikon will begin selling the saw in January with two motor options. It will be priced at about $1,500 with the company’s 2-1/2-hp motor or about $1,800 with a Baldor 3-hp motor.